BACK FOR ITS THIRD YEAR AT CAMBERLEY THEATRE, ADDITION FESTIVAL IS SEEKING EXPRESSIONS OF INTEREST FROM INDEPENDENT UK BASED CONTEMPORARY CHOREOGRAPHERS AND YOUNG COMPANIES TO SHARE NEW WORK OR EXISTING CHOREOGRAPHY. THE FESTIVAL AIMS TO BRING TOGETHER A SHORT BURST OF WORK FROM EMERGING AND PROFESSIONAL ARTISTS AS WELL AS YOUTH COMPANIES, PROGRAMMED TO INTRIGUE SEASONED DANCE LOVERS AS WELL AS THOSE NEW TO EXPERIENCING DANCE. ADDITION FESTIVAL CELEBRATES THE WORK OF INVITED CHOREOGRAPHERS AND COMPANIES, SUBMITTING EXCITING IDEAS TO FEATURE AS A MIXED BILL. ADDITION FESTIVAL IS AN OPPORTUNITY FOR ARTISTS AND COMPANIES TO SHARE WORK-IN-PROGRESS OR NEWLY DEVELOPED CHOREOGRAPHY. THE FESTIVAL IS PROGRAMMED AND SUPPORTED BY CAMBERLEY THEATRE AND CURATED BY JACK PHILP DANCE. 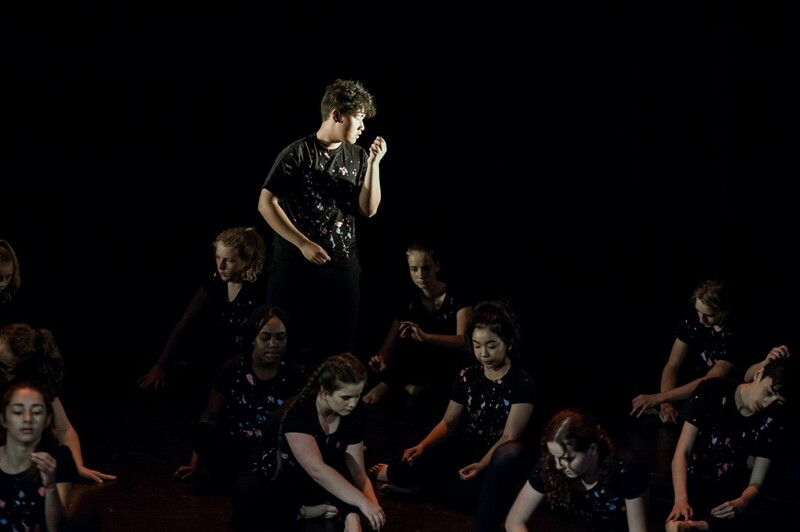 WE ARE LOOKING FOR APPLICATIONS FROM INDEPENDENT ARTISTS AT ANY STAGE IN THEIR CAREER AS WELL AS YOUTH COMPANIES WHO WISH TO PERFORM AND SHARE WORK ON THE EVENING OF SUNDAY 14TH JULY 2019 AT CAMBERLEY THEATRE. YOU CAN DOWNLOAD THE APPLICATION FORM BY CLICKING THE LINK BELOW AND SENDING, COMPLETE WITH VIDEO LINKS, TO applications@jackphilpdance.co.uk BY 5PM ON SUNDAY 5TH MAY 2019. PLEASE NOTE THAT WE ARE LOOKING FOR WORK WHICH IS BETWEEN 15-30 MINUTES FOR PROFESSIONAL ARTISTS AND 5-10 MINUTES FOR YOUTH COMPANIES. AS PART OF THE EVENT, ALL CHOREOGRAPHERS AND COMPANIES SHOWCASING WORK WILL ALSO RECEIVE PRODUCTION SHOTS OF THEIR CHOREOGRAPHY FREE OF CHARGE VIA DIGITAL DOWNLOAD. DEADLINE FOR APPLICATIONS: 5PM ON SUNDAY 5TH MAY 2019. ALL APPLICANTS WILL BE NOTIFIED BY SUNDAY 2ND JUNE 2019. + DATE: SUNDAY 14TH JULY 2019.